As a part of the acquisition, the five associations will maintain their close involvement and Messe Frankfurt aims to continue the Clean Show success story in the future. 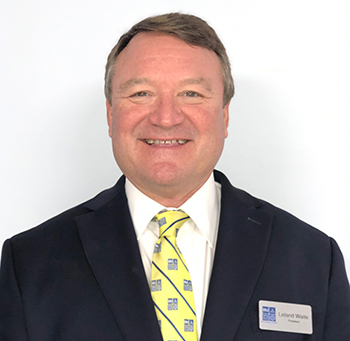 Riddle and Associates, led by trade show management veteran, John Riddle, has managed the Clean Show for decades and will manage Clean 2019 on behalf of Messe Frankfurt. Planning and budgeting are the keys to success, that is true for any business. It doesn’t matter whether or not you are a small, one storefront operation or a million-dollar, multi-store company. Before you can begin developing your plan, you first must know where you are going. Otherwise, you may develop a great plan and be disappointed in the results because you did not achieve what you expected. Fabricare Canada and Kreussler awarded scholarships to students attending the Fall 2018 courses at DLI’s School of Drycleaning Technology. Scholarships are available for 2019 courses. Check out www.DLIonline.org/Education or contact DLI’s Education Department at 800-638-2627 or Education@DLIonline.org for more information. Students from four nations and nine U.S. States attended the Drycleaning & Laundry Institute’s Fall 2018 Introduction to Drycleaning and Advanced Drycleaning Courses. In its 91styear, DLI’s School of Drycleaning Technology has trained thousands of drycleaners all over the globe. Last issue, I concluded the article at the beginning of a discussion on the impurities associated with boilers. This month we’ll delve deeper into what some of these impurities are, allowable limits for proper boiler operations, how to control them, and the type of damage they cause. DLI provides training and mentoring for our members. Go to Dlionline.org and see what we offer. DLI’s School of Drycleaning Technology is first class. DLI provided me an opportunity to monitor a session and I was very impressed. DLI has financial assistance for obtaining scholarships. If you are in the Southeastern Fabricare Association, SEFA, can help with your room and board. What are your goals for 2019? Perhaps you have some resolutions. It’s the classic thing to do at the start of the new year. “I resolve to do <this>”! We often drop the ball. That is the cruel joke. When the new year morphs into simply a continuation of the daily grind, we often lose sight of our new goals. Come time for a business loan, whom do you turn to? Most likely the corner banker who holds your checking account. That person knows your enterprise best and has a vested interest in its success. Even the friendliest local banker, though, might respond to a loan request with a resounding “no.” Reason? The regulatory environment: The nation’s financial meltdown a decade ago sparked a network of tighter lending rules that still hamper the flow of money. Success in the drycleaning business can be fleeting. If you’re located in a market with fast population growth, for example, it might be easy to profit even as a new operator with limited experience. On the flipside of this boomtown scenario, the seasoned owner of an operation in a declining community may struggle to keep the machines full.